Way back in 1971, Indira Gandhi rode to power at the Centre on a lofty Garibi Hatao (remove poverty) slogan. Forty-eight years later, her grandson and Congress president Rahul Gandhi has taken a leaf from the book of her winning formula to announce his own variant of the Garibi Hatao formula. 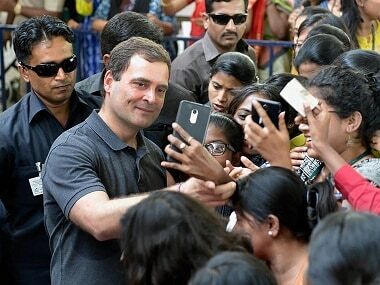 On the surface, Rahul's "final assault on poverty" and Rs 72,000 per year — Rs 6,000 a month to five crore families — is quite catchy and idealistic. It may interest a section of voters when they go out and vote in seven phases of the Lok Sabha election, starting 11 April. Since any such promise made by the leader of a political party is based on the assumption that s/he will come to power and then fulfil the promise, the money he promises to spend on freebies has to come from the public exchequer and taxes collected from the public at large, not from party fund of the party in power, it is pertinent to raise some questions on this grand vote-catching idea. It is not to argue that public welfare schemes should not be the priority for an elected government, but the veracity of such announcements has to be probed. Further, it is also instructive to see how successive governments, particularly those representing the party that came up with the Garibi Hatao slogan have done so far. Rahul's public announcement of his variant is, in a way, a tacit admission that the promise of removal of poverty in India made by his grandmother remained a mere election slogan. Indira became prime minister in January 1966, and while seeking a return to power in 1971, she came out with a catch phrase that demolished her rivals: "Woh kehte hain Indira hatao, main kehti hoon garibi hatao." She remained in power, except for a brief period of Janata rule 1977-79, till she was assassinated on 31 October, 1984. Her son Rajiv succeeded her as prime minister and remained in office for the next five years. The Congress then had five years of the PV Narasimha Rao government and 10 years of Manmohan Singh. Since 1971, the Congress ruled the country for 31 years. Incidentally, when she coined this slogan, her grandson Rahul must have been no older than seven months of age. 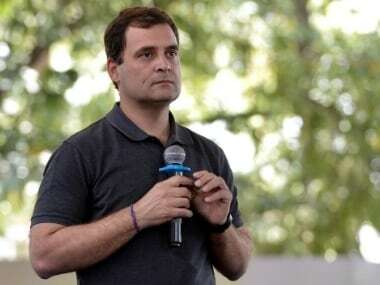 Close to half a century later, Rahul believes that the same slogan will catapult him to power, from the party's worst-ever performance — the 44 seats the Congress won in the 2014 Lok Sabha election. Going by a rough assumption of the 2011 Census data, one can say that over 75 percent of the Indian population was not born when Indira had coined that slogan and promised to eradicate poverty from Indian soil. 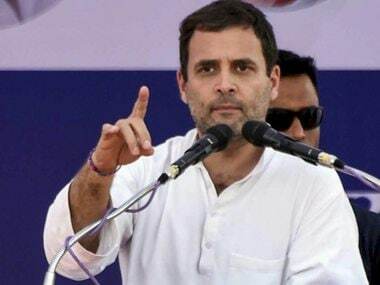 Rahul incidentally talks about offering, through the Nyuntam Aay Yojana (NYAY), Rs 72,000 per year to 20 percent of the population, which in other words, is five crore families and 25 crore people. The Congress president conveniently avoided going into details about from where he was going to get the resources for his programme. He has not made clear whether this money will be transferred to five crore people regardless of their employment status or whether this will be linked to some work. 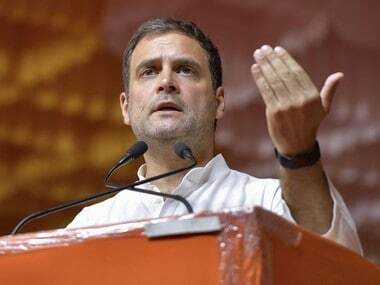 Consider this: Rahul's promise will require an annual expenditure of Rs 3,60,00,00,00,00,000 (Rs three lakh and sixty thousand crore per year). This is more than the combined expenditure of some of the key ministries — Education, Health, Rural Development, Railways, Power including new and renewable energy, food and public distribution. These ministries essentially work for public welfare and developmental outreach concerning every citizen. 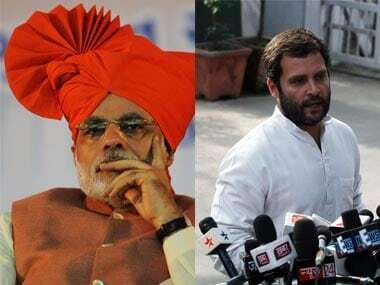 Rahul knows that to be put his promise to the test, he will need to become prime minister by defeating Narendra Modi in the Lok Sabha election. That by itself is an uphill task. Till then, he has found a talking point for himself and his party.